The Prime Minister, Peter O’Neill has commented on the conspiracy theories and slanderous claims being used by opposition members, and called on media to fact-check the information they receive. PM O’Neill made the comments about opposition conspiracy theories and sensationalist claims that have been reported through some media outlets without any attempt to verify the claims. “There is a common thread running between all the wild claims of the opposition members, and that is a lack of statement of fact or evidence to back up their claims,” the Prime Minister said. “I hope all media can keep that in mind when they consider reporting unsubstantiated assertions. “If this was not election time these opposition members would find themselves in court facing civil lawsuit, and they may well face legal action after the election when we have time to look back. PM O’Neill said that the ‘opposing-opposition leaders’ are as brutal when attacking each other as they are at criticising the Government. “We all recall when the so-called leadership of the gaggle of opposition members met and said they were united to bring down the Government. “Within a week this unity had dissolved and they were all attacking each other with slanderous claims that were never presented with evidence. 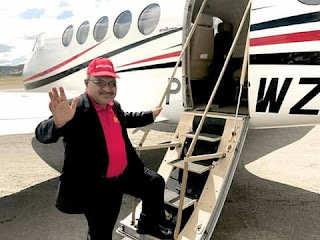 “When you look at all of the conspiracy theories that are claimed by Polye, Morauta, Pruaitch, Basil, Namah and Juffa, there is a lot of hot air, but not an ounce of substance to back up their claims. “They claim the elections will fail, and while that might be wishful thinking on their part, aside from some administrative issues, the elections are proceeding and errors being resolved. “The 2017 election is nothing like the disastrous election of 2002, under the former Morauta Government, when there was widespread violence and Parliament resumed with seven seats that could not be declared. “Democracy needs sound debate, but when all this rag-tag group can offer is wild claims and conspiracy, with not a fact to back them up, it is a sorry state of affairs.